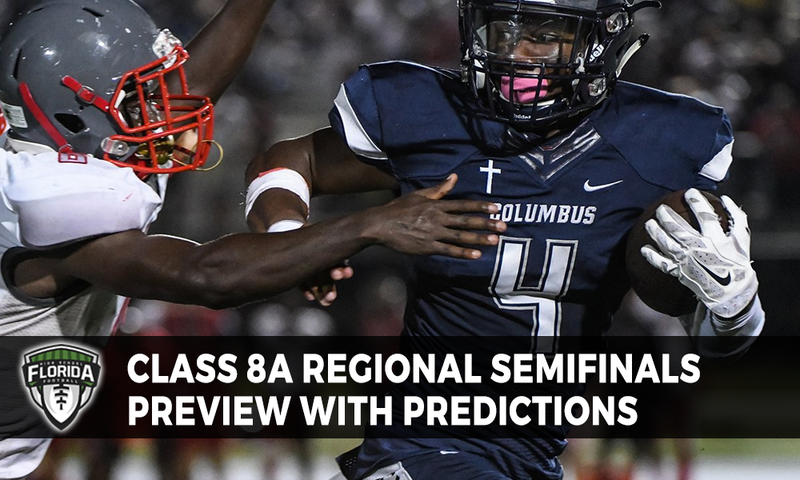 The Class 8A regional semifinals are set up for what could be an exciting stretch finish on the Drive to December. With Class 8A providing some upsets last week, there is a chance a few more might be on the horizon this week. This is a rematch of a Week 10 District 8A-10 showdown between the Buccaneers and Spartans … Southridge won the last meeting in a squeaker, 15-13 to claim the district championship … South Dade defeated No. 4 seed Hialeah, 49-14 last week … Southridge defeated No. 7 seed No. 7 seed North Miami, 35-21 last week … For the visiting Buccaneers keep an eye on wide receiver Najeh Baker to do the damage as he had three touchdown catches last week in leading them past the Thoroughbreds … Demetrius Burns will also be a lethal threat for the Buccaneers having thrown for 11-of-17 for 152 yards and four touchdowns last week … For the host Spartans watch out for dual-threat quarterback Antwan Anderson to do damage as he was responsible for four touchdowns last week (two passing, two rushing) … in their last meeting in the playoffs in 2015, South Dade won the contest in a close 21-14 in a game, according to Florida high school football historian Richard Burton, saw South Dade down Southridge for the second time that season behind the strong performances of Jawon Hamilton and James Wiggins to advance to the Class 8A Regional Finals. No. 5 Miami Palmetto (10-1) vs. No. 1 Columbus (11-0), 4:00 p.m. POLL: Who wins Thursday afternoon?